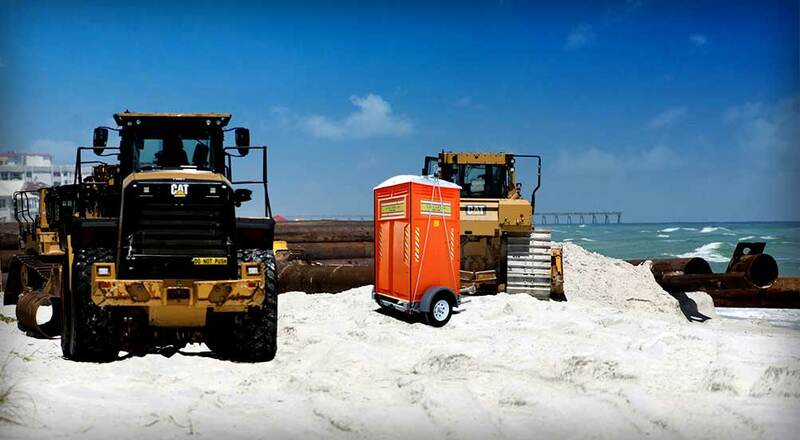 This is the perfect portable toilet rental for any major highway construction job because it can conveniently follow workers on the job site saving valuable work time. 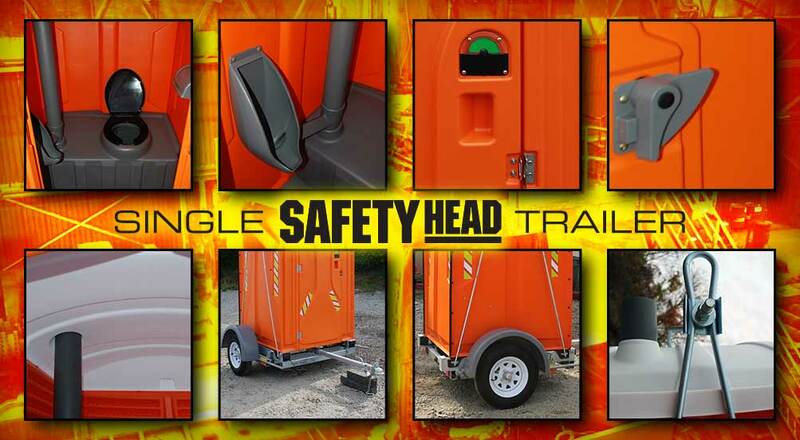 The SAFETY HEAD TRAILER quickly lowers the porta potty to ground level for stable and easy access for construction workers once you get to your next location. When you are ready for your jobsite to move again, just crank the SAFETY HEAD TRAILER to transport the porta potty to your new job site location. Even more conveniently, the SAFETY HEAD TRAILER transports just as easily when it is full. Another high-security area the SAFETY HEAD TRAILER is a perfect choice is any New York airport. 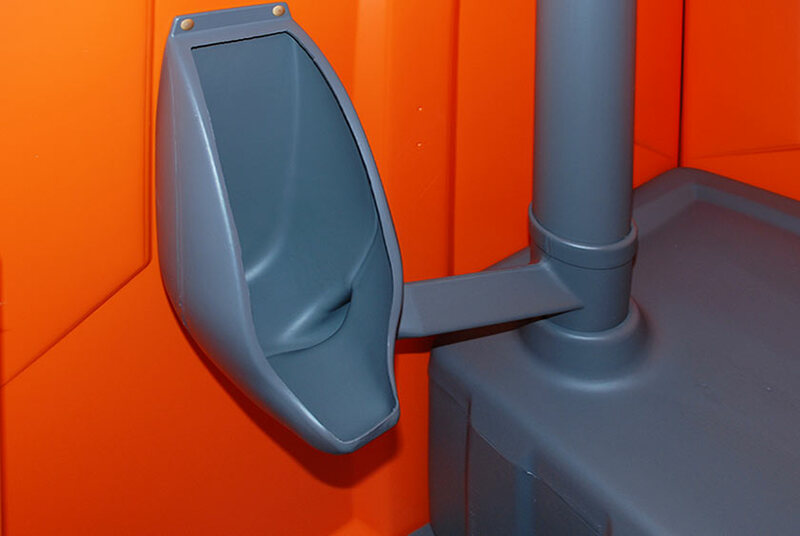 Again, providing a mobile portable toilet rental with CALLAHEAD's specialty security design to stand out when and where you need it most. 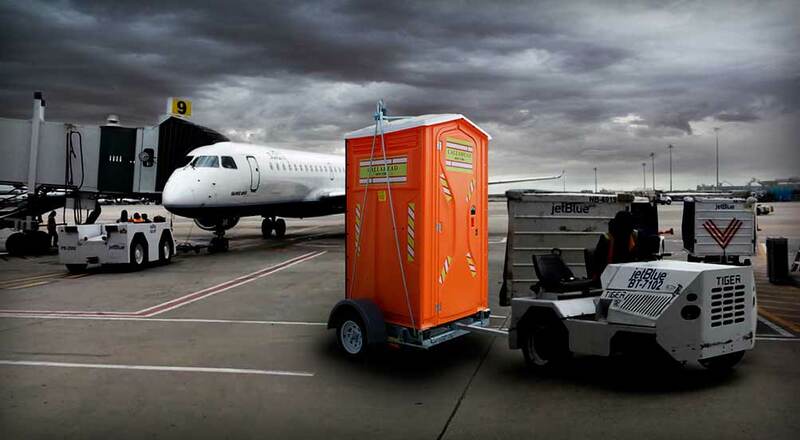 As with every CALLAHEAD portable restroom, we deliver the greatest value with every rental. In addition to all the convenience and features the SAFETY HEAD TRAILER offers it also includes CALLAHEAD's best in the industry weekly cleaning service. A CALLAHEAD professional uniformed service technician will clean the SAFETY HEAD TRAILER with only hospital grade cleaners and disinfectants at every weekly service. 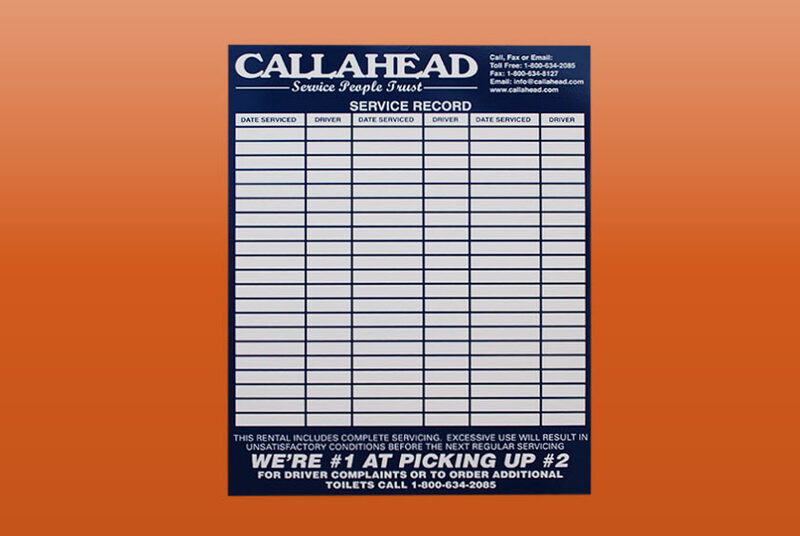 CALLAHEAD's sign in sheet is installed which our service technician will sign and date at each service. 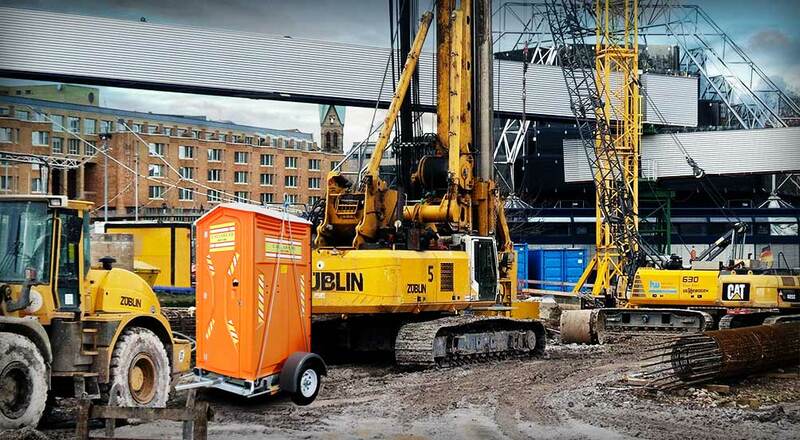 This invaluable portable toilet rental delivers safety, mobility and the world's greatest portable toilet equipment and service all in one rental. The SAFETY HEAD TRAILER is available for same-day delivery to New York City's five boroughs of Manhattan, Brooklyn, Queens, Bronx and Staten Island, Westchester County and all of Long Island's Nassau and Suffolk Counties. 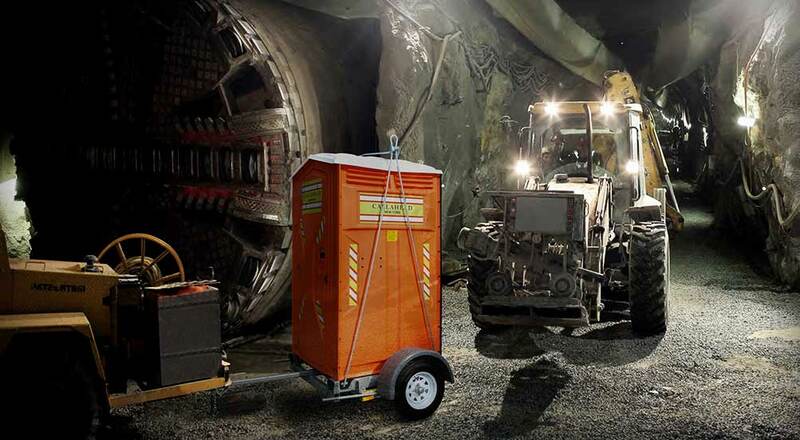 You can never have too much safety equipment at the job site, which is why CALLAHEAD has created the SAFETY HEAD TRAILER to our extensive list of portable restroom options. 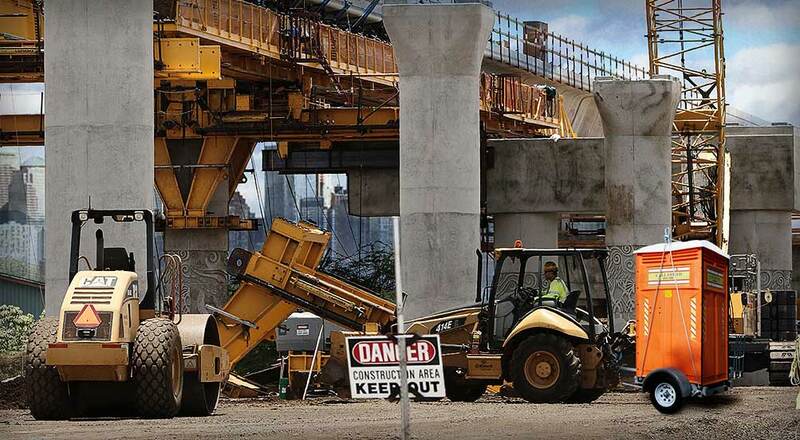 We believe in only providing the highest value and stress-free equipment to every one of our customers. 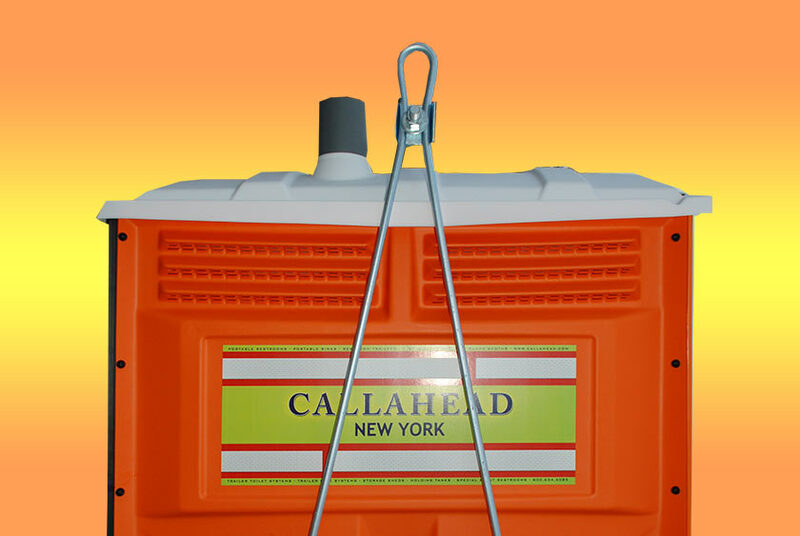 Since 1976 CALLAHEAD has never stopped innovating the world's best portable sanitation equipment for New York, and we never will. The following is the detailed design specifications for the SAFETY HEAD TRAILER rental. 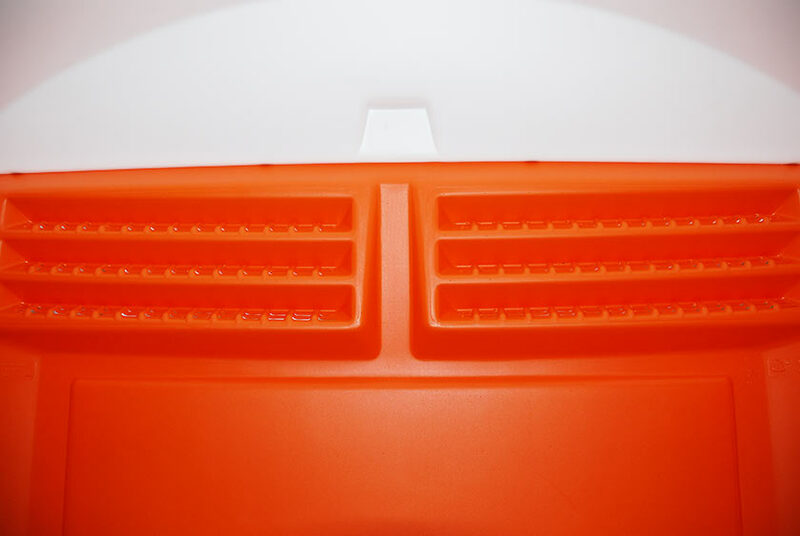 If you have any additional questions regarding design specifications, please contact us at 1-800-634-2085 to speak with a CALLAHEAD portable toilet specialist. 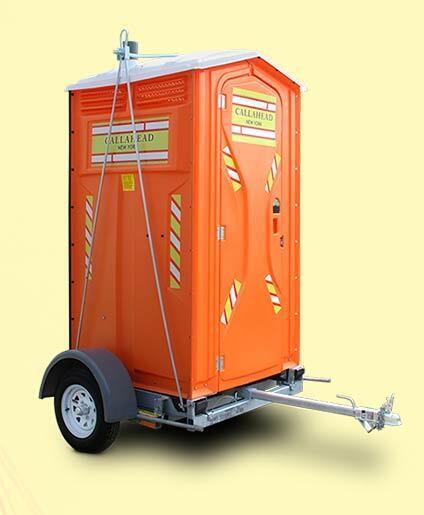 The SAFETY HEAD TRAILER is CALLAHEAD's SAFETY HEAD portable toilet combined with our specially engineered trailer in one convenient rental. 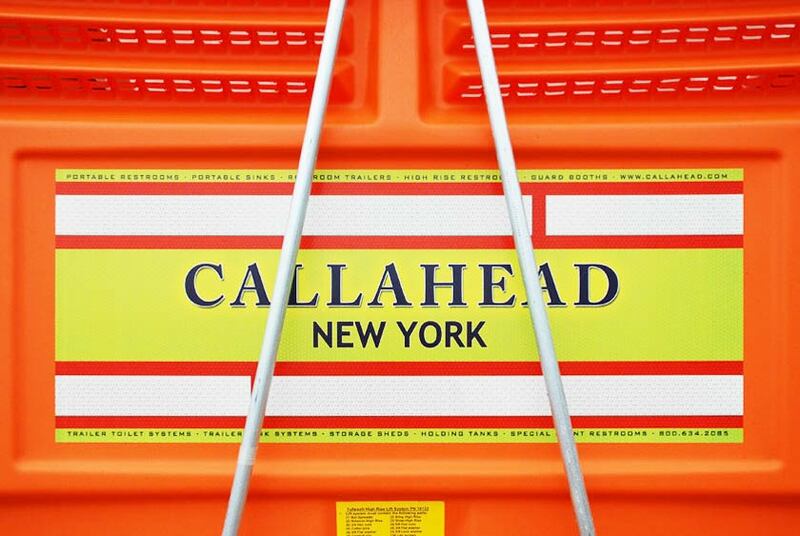 The SAFETY HEAD TRAILER was designed by CALLAHEAD to bring maximum value to your construction job. 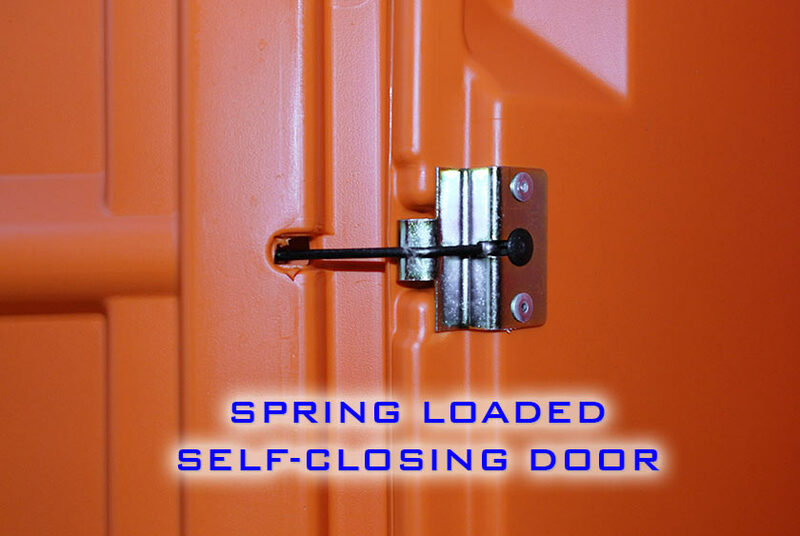 When you rent the SAFETY HEAD TRAILER, you receive the utmost sanitary portable toilet, CALLAHEAD's hospital grade weekly cleaning service, convenient transportation of your portable toilet plus the added feature of assisting with job site safety. 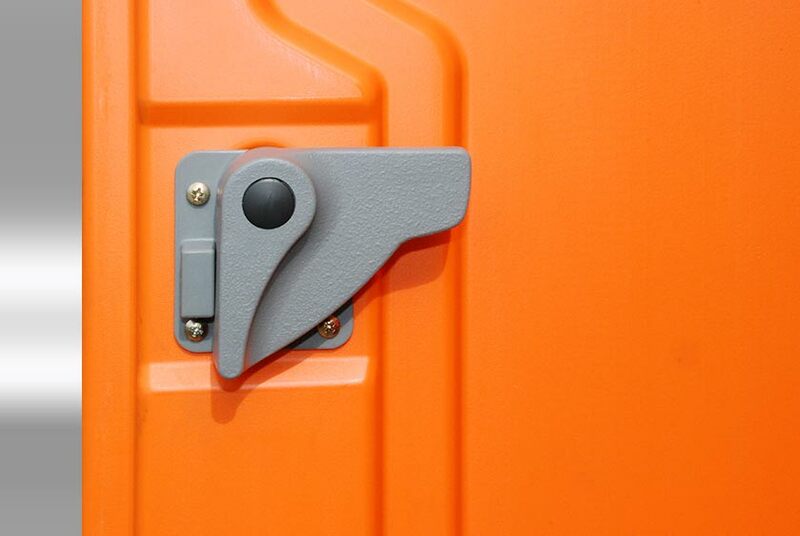 This portable toilet's bright orange coloring is designed with yellow, white and red safety reflectors to add and blend with construction site safety equipment. 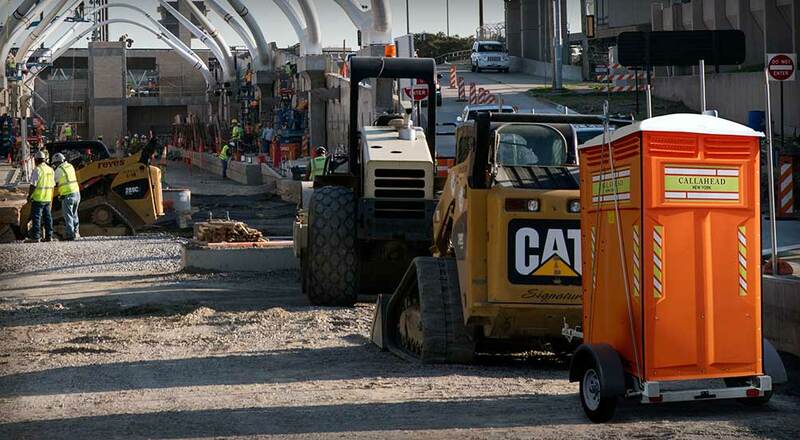 CALLAHEAD's SAFETY HEAD TRAILER is the preferred porta potty rental for road, highway, tunnel and bridge construction jobs to follow moving construction crews. 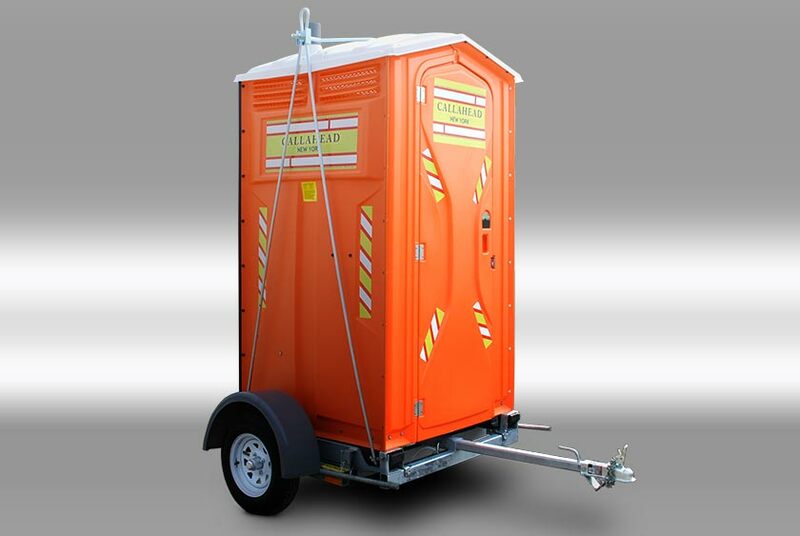 This is also the ideal portable toilet rental for any location that limits access to flatbed and tank trucks necessary for delivery and weekly cleaning service of portable toilet equipment. 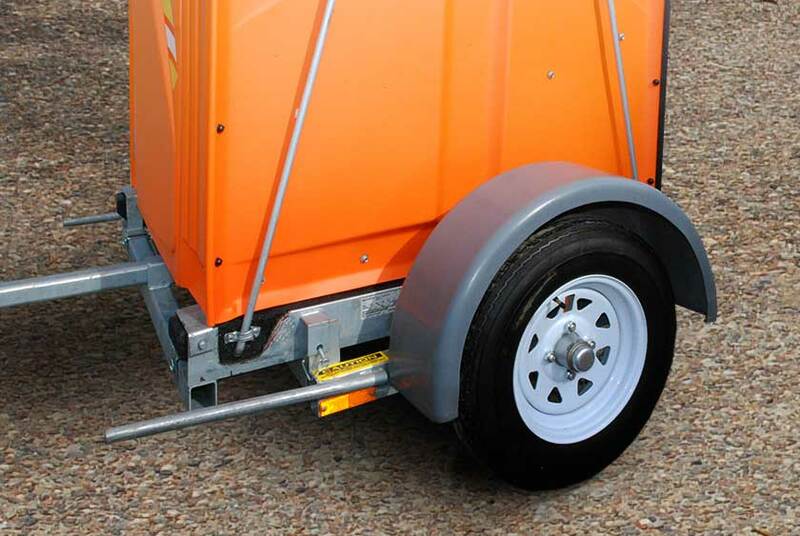 The SAFETY HEAD TRAILER is the perfect solution since it attaches to any small vehicle with a hitch. Even vehicles as small as a golf cart or garden tractor. This will make transportation from pick-up and delivery to weekly cleaning services stress-free. 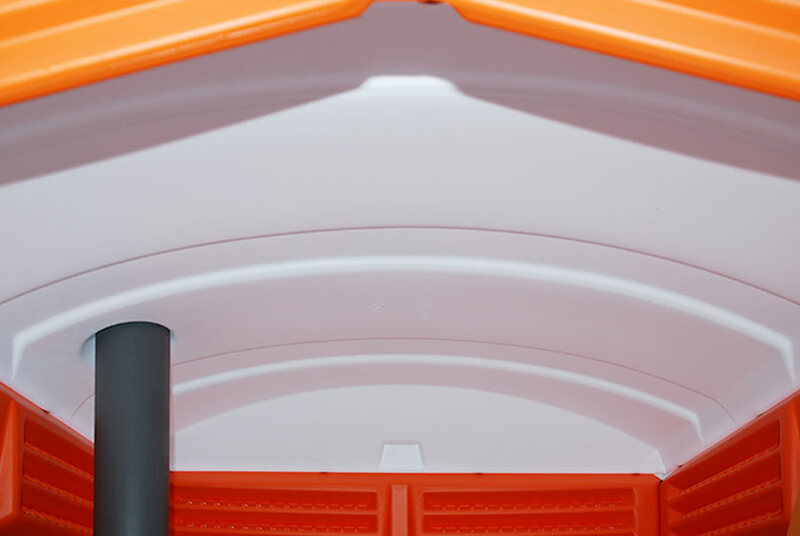 The SAFETY HEAD TRAILER is an extremely durable portable toilet constructed of high-density polyethylene. The extra-large interior has a full-size comfortable toilet seat and dual covered toilet paper dispenser. A Separate non-splash urinal is ideally located at the furthest point away from the toilet seat. 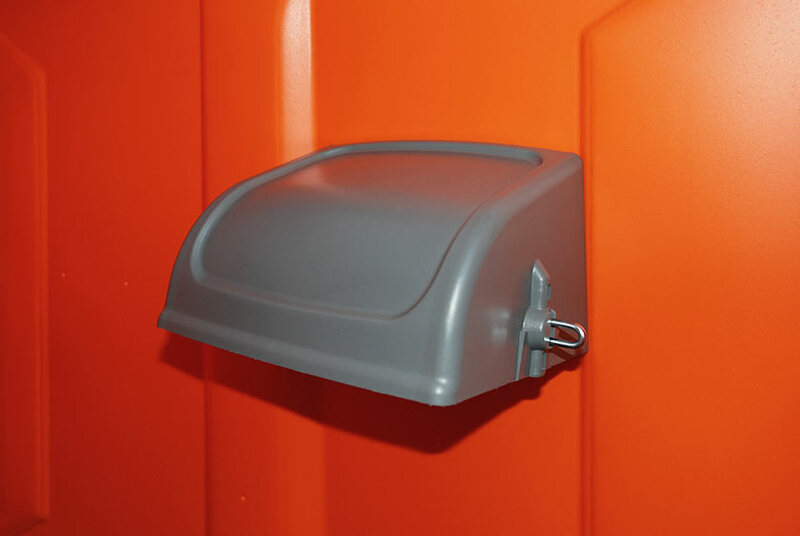 The porta potty's interior has smooth surfaces, won't absorb odors and wipes easily clean. 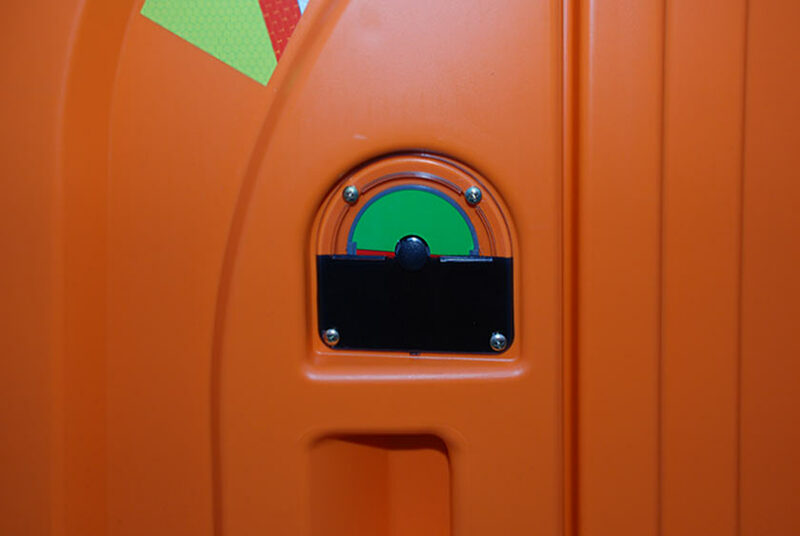 For user privacy, the SAFETY HEAD TRAILER has an interior door lock that triggers an exterior occupancy sign. The coat and hat hook is also available to hang a jacket or tool belt. 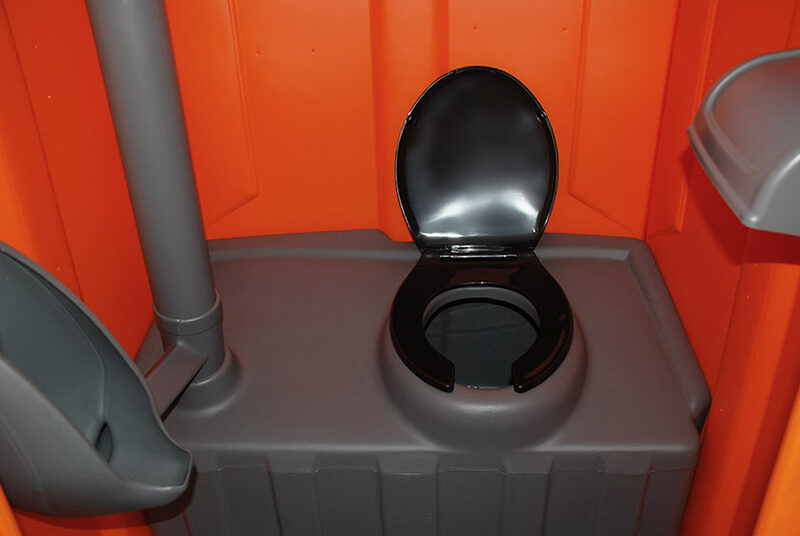 The portable restroom's chimney stack and molded floor and ceiling wall vents provide the perfect air flow to release any odor causing issues. A bright white translucent roof will deliver plenty of natural of light inside the restroom.